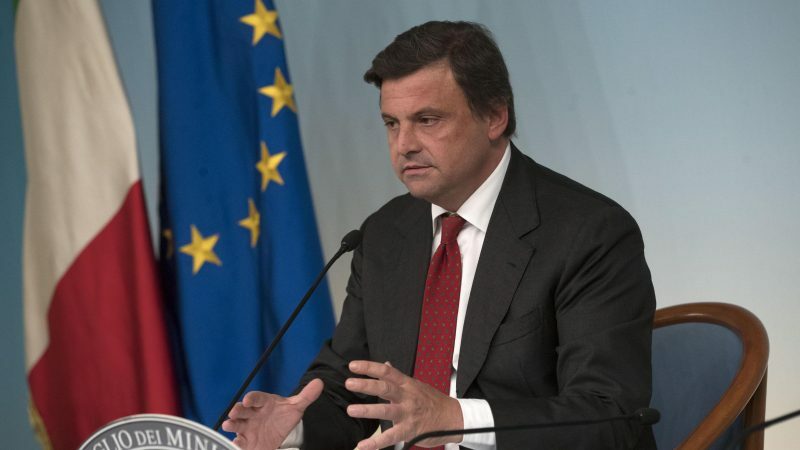 Carlo Calenda, a prominent liberal democrat affiliated to centre-left Partito Democratico (PD), wants his new platform ‘Siamo Europei’ to help create a single pro-EU list for the upcoming elections. EURACTIV.com spoke with him on the sidelines of his platform’s manifesto launch in Brussels last week (19 March). ‘Siamo Europei’ (We are Europeans) has been signed by many local administrators as well as national political figures, such as the new PD leader Nicola Zingaretti and former Prime Minister Paolo Gentiloni. “Our aim is to have a movement in Italy, built both by social-democratic forces such as PD and other more liberal-oriented, that can achieve around 30% of votes,” Calenda told EURACTIV. However, the liberal-centrist and Italy’s member of the ALDE family +Europa recently refused to run together with the centre-left Partito Democratico within Calenda’s newborn platform. “I’ll try again to bring them on board, although at this point their decision seems irrevocable,” said Calenda, adding that doors will be open to every party until the very end. Those signing the manifesto must share its main principles but also rule out an alliance with the two ruling parties Lega and Five Star Movement. “There is a large bloc from Macron to Tsipras that, even with different shades, wants to pursue a project of a united Europe and there is another bloc that wants to blow Europe up,” he said. As a former corporate executive and Economic Development minister, Calenda has often been described as Italy’s Emmanuel Macron, a comparison he has always rejected. In a radio interview, Calenda admitted that he had arguments with Macron from the very first moment that they met when the French president was his counterpart in the Council of Ministers. “I found the method Macron chose for its manifesto trivial and wrong for Europe,” he said at the launch event, criticising the idea of setting up new agencies to improve democracy. According to the Italian politician, the first step toward political union will be the consolidation of all external policy, from trade to investments, and border controls to common defence. “The second element should be a big plan of education and schooling to cope with the functional illiteracy, which is tearing the idea of democracy apart,” he said. The third key point of his manifesto proposes to oppose central european Visegrad group with a ‘Rome front’, made up of the six founding member states but extended to other countries, that allows pro-integration countries to move forward on policies such as harmonisation of corporate tax or common defence. Asked about the possible coalition between the nationalist right-wing Matteo Salvini and the Christian-democrats of Manfred Weber after the elections, Calenda said that it was a mistake to think that these parties can be “normalised”. “It can’t happen because, as Orban says and Salvini practices, they have in their DNA the dismantling of liberal democracy,” he said. “Now it’s time to make very clear decisions: staying in a grey area won’t work,” he added. Calenda also attracted some criticism for agreeing to challenge Steve Bannon, the guru behind Donald Trump’s successful campaign for the US presidency in 2016, in a face-to-face debate that will take place this evening in the office of the consultancy firm Comin & Partners in Rome (25 March). “Democracy is never afraid to confront [others], on the contrary, it wins when it confronts [others],” he said about his match. Although considering himself more of a liberal democrat, Calenda also looks favourably on Zingaretti’s attempt to rebuild a single centre-left bloc ahead of the EU elections, attracting other leftist political forces which split from the PD due to strains with former leader Matteo Renzi. He will run as the PD’s leading candidate in the North-Eastern district, one of the five Italy’s constituencies for the next EU elections.